In an era when personalized, time-intensive medical care is seemingly a thing of the past, house calls from doctors have become a quaint, increasingly rare form of interaction between physicians and their patients. That is why San Francisco healthcare fraud attorney Gregory J. Brod finds reports that some medical personnel may have managed to rack up potentially $2 billion in bogus billing to Medicare as symptomatic of a larger, serious assault upon our healthcare system, the U.S. Treasury and the taxpayers. 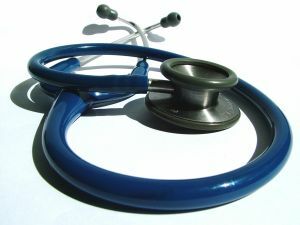 According to the Washington Times, a report from the office of the inspector general of the Department of Health and Human Services says that, despite new regulations in force as a result of the Affordable Care Act, the practice of doctors billing Medicare for home visits they never made has become rampant, with the financial hit amounting up to $2 billion. The ACA mandates that doctors conduct a face-to-face visit first in order to ensure that patients who request home care are actually too ill to travel to a healthcare facility. The law also requires that doctors provide the specific proof that they are, in fact, paying a house call. Investigators from the inspector general’s office say that about one-third of all house calls were lacking proof that the visit ever happened, usually consisting of a description of the visit or a signature from a supervisor. At the very least, 10 percent of all face-to-face visits lacked any documentation whatsoever, totaling $605 million in charges against Medicare, according to the inspector general. 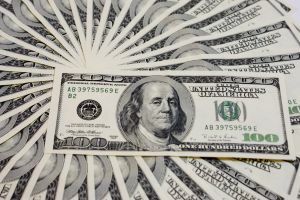 If the one-third of cases with sketchy accounting were also made up, then the financial hit that the government has absorbed would balloon upward toward the $2 billion figure. The office of the inspector general suspected that fraudulent behavior associated with house calls was particularly rife in Miami and Chicago, and agency’s investigators placed a moratorium last year on new home healthcare providers in those cities. The Center for Medicare and Medicaid Services says that in Miami alone the number of doctors claiming to provide house calls was 2,000 percent higher than in other parts of Florida. That’s especially curious since urban areas tend to have more accessible healthcare networks and facilities than more rural areas. Such explanations, however, offer scant information on whether payment for these visits was warranted, according to Fletcher. “The phrase ‘taxing effort to leave home’ is included in Medicare’s definition of ‘homebound,’ so it doesn’t really tell us anything specific about the patient’s condition,” Fletcher said. Whatever the magnitude of the scamming that has been going on with home healthcare, the only thing that has been verifiably taxing is the hit that the taxpayers have taken as well as increasing costs that honest Medicare patients have to pay in the form of higher premiums. As is the case of any other scheme to defraud the government, it is often a brave whistleblower who steps forward under the provisions of the False Claims Act to blow a scam’s cover, providing the basis for a qui tam lawsuit on behalf of the government. If you have knowledge of such a scheme, please contact the experienced attorneys at the Brod Law Firm for a free consultation.